So of course things where no going to stop there, Azealia Banks had to answer, more produced, darker I would say..but you tell me…. But this morning I wake up and see that the whole thing ain’t over and that the 2 rap artist are going Pulp Fiction on each other. 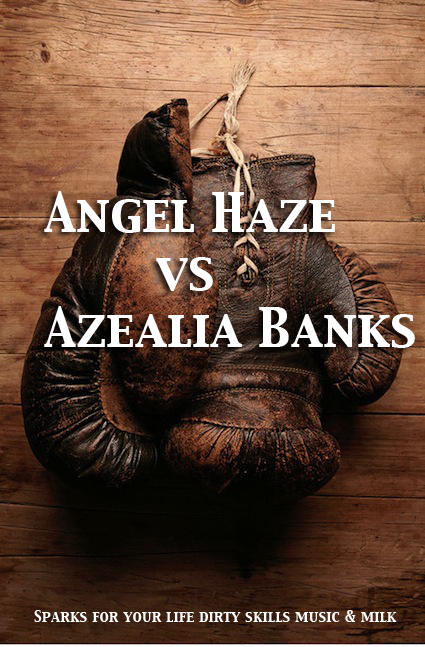 So here is the latest drop Angel haze second track in this fight Shut the f*ck up, pretty straight ! So here we are with 3 tracks that won’t make history but might be the start of something interesting. The urge of going deeper maybe… I am very curious.